March 29th is National Vietnam War Veterans Day, a day to recognize and honor the sacrifice of heroes. They served our country in the midst of massive public disapproval of the ongoing Vietnam War, and as a result, we didn’t give enough attention, respect, and homage when they returned home. When many Vietnam veterans came back home, they were told not to wear the uniform to avoid public eye. No veterans should come home to face such hatred. No veterans should be forgotten and left behind. Today, we honor those who served and contributed to the Vietnam War, and it is the least we can do for those who answered the call when the nation needed them. On behalf of the Department of Veterans Affairs and the Veterans we are deeply honored to serve, I want to say thank you to our country’s more than six-and-a-half million living Vietnam Veterans and their families. Two years ago, President Trump signed the Vietnam War Veterans Recognition Act into law. That Act designates every March 29 as National Vietnam War Veterans Day. It was March 29, 1973, when the last of our combat troops left Vietnam. It was on that day that the last American prisoners of war held in North Vietnam came home. In support, VA and more than 10,000 local, state, and national organizations join the Department of Defense as Commemorative Partners. We honor the nine million American men and women who served on active duty from November 1, 1955, to May 7, 1975. 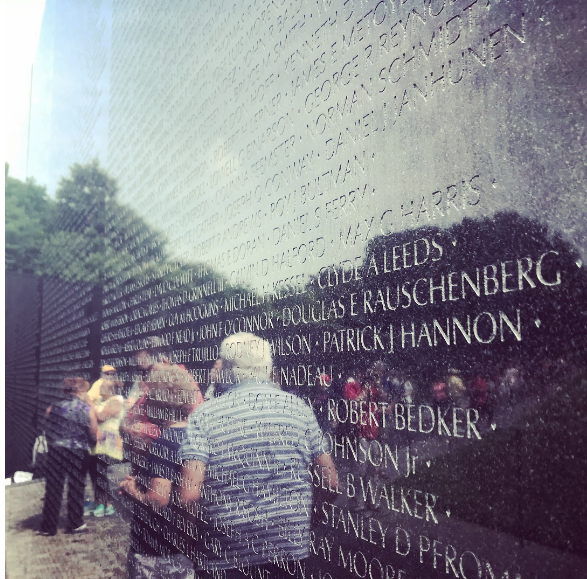 We solemnly remember more than 58,000 whose names are etched into the Vietnam Memorial’s polished black granite—constant reminders of the price of freedom. Take advantage of the opportunities this commemoration encourages and show your gratitude to this noble generation of American service members. May God bless all of you, your families, and this great Nation.